Last week I received amazing gifts from Siren London!!!! 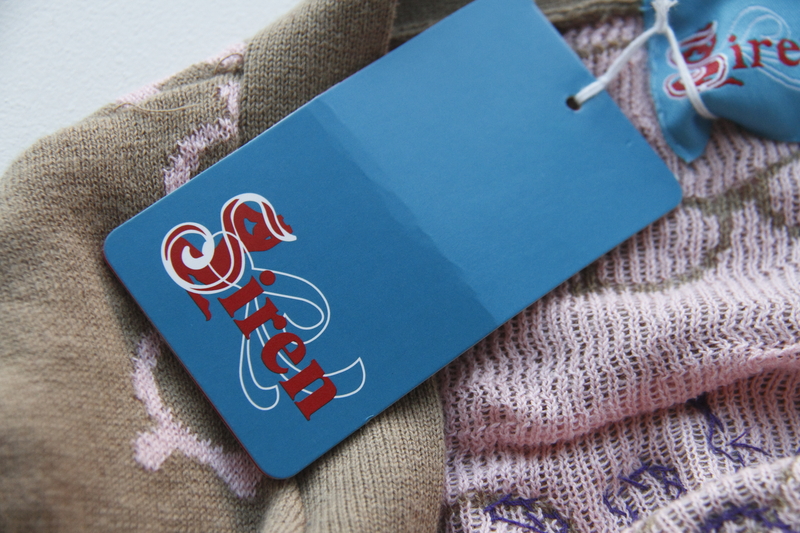 Siren London is a brand based in the UK. They are known for their hand beaded embellished knitwear, vintage inspired prints and unique trendy dresses and separates. Siren London has a hugely successful Topshop concession in the UK! (Gosh I can’t wait to take a trip to London!) Siren London sent me a special delivery with two FABULOUS gifts! 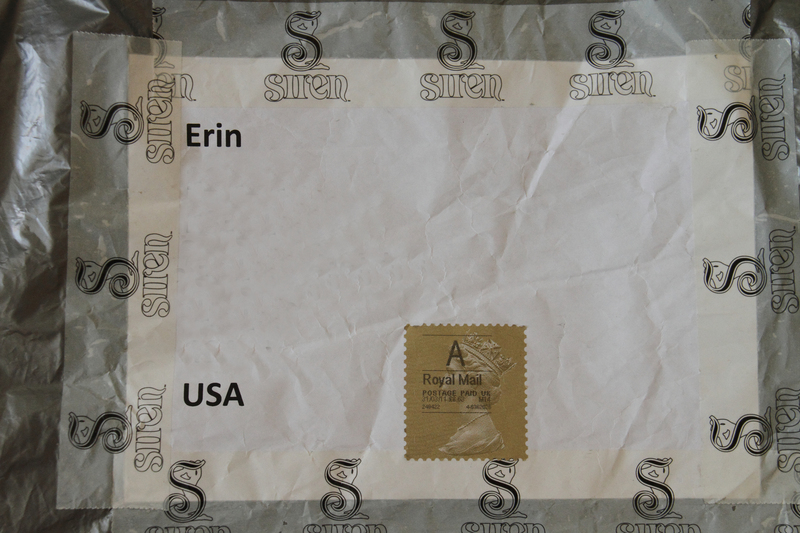 I was pleasantly surprised to what I found inside… THANK YOU Siren London! 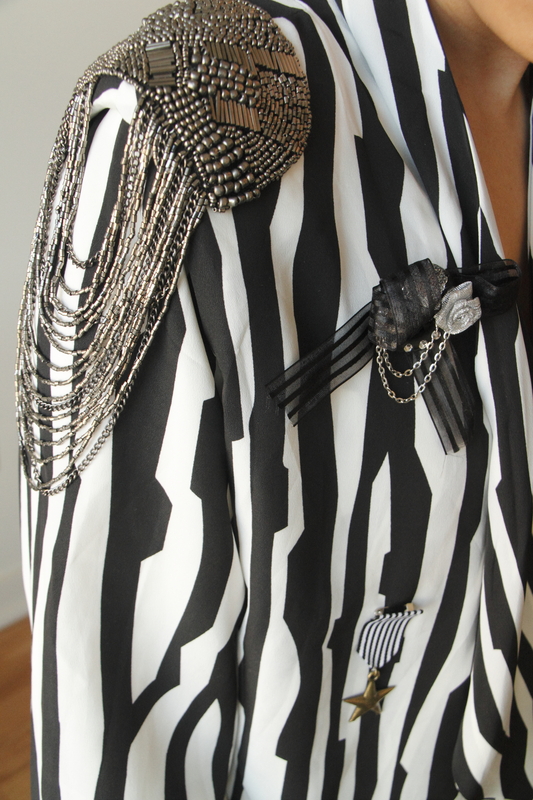 My 2nd gift is the Sade Black/white Pinch of Panache jacket! 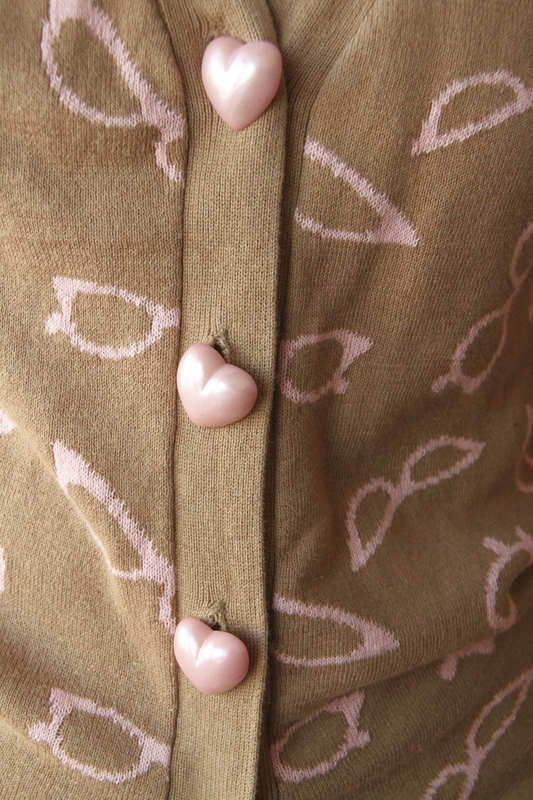 Let’s see…what can you NOT love about this jacket. 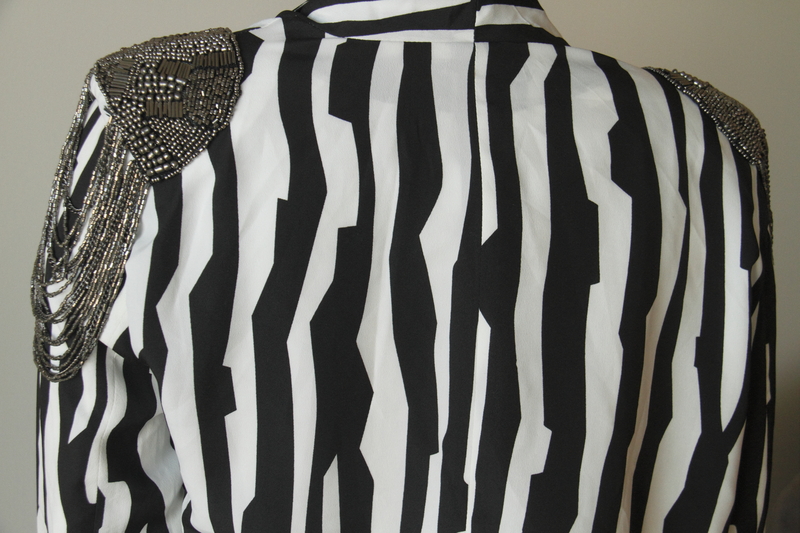 From the bold black and white stripes, gorgeous drapery to the embellished shoulders and padding! I’m drooling! 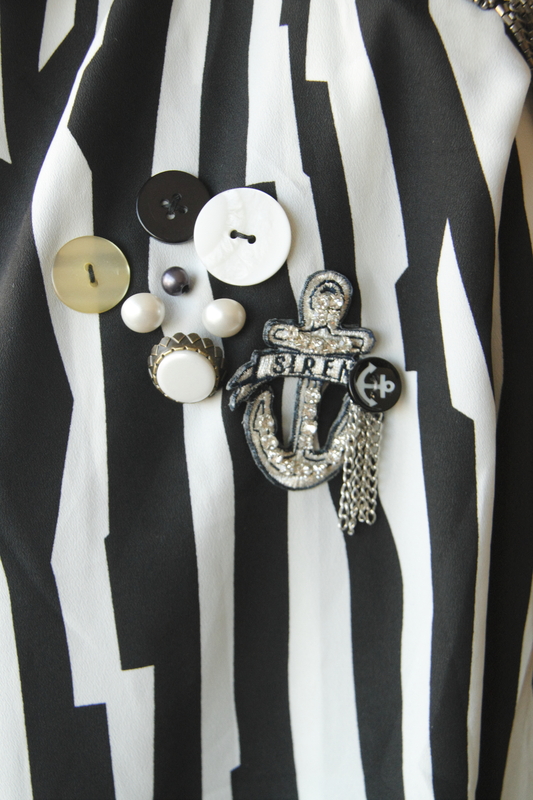 This jacket is definitely a show stopper and something that you can keep in your wardrobe forever. It can be worn dressed up or down. This jacket is now one of my favorite pieces in my closet. Thank you Siren London! Siren London would like to welcome Spikes & Sequins’ readers and give you a gift too! You can receive 20% off your next purchase on SirenLondon.com using the discount code SIRENLOYAL at checkout!